Thanks to the Company’s know-how and experience in landfill solutions, the contamination of these highly visited tourist resorts was avoided. 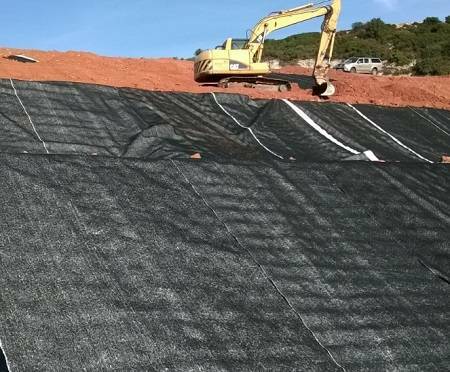 Maccaferri Hellas provided a range of geosynthetics, for the final capping of landfills at three different sites of the Aristotelis Municipality. The problem of waste disposal is common in every country and has become nowadays a global issue. Many isolated places have been used in the past to dispose of the waste from the nearby cities, but as the population grows, the demand for greater landfill capacity has become inevitable. Waste disposal areas need to be dealt with extreme caution if we want to improve their environmental conditions. Therefore, Maccaferri believes that we must treat a landfill not as a dump but as a living organism with separately progressing phases, from foundation to the improvement of their geological characteristics and guaranteeing long-lasting protection from land and weather events. Maccaferri Hellas geosynthetic products indeed provide solutions for most of the problems that must be challenged in the development of landfills. In the Chalkidiki peninsula, a beautiful seaside resort with scores of tourists every year, the Municipality of Aristotelis had to deal with 3 waste disposal sites which, in addition to the risk of contamination of the local environment, were creating an aesthetic problem as well. To this end, the winning contractor for the landfill’s rehabilitation project G.D.K Techniki Ltd contacted us and we were finally awarded the total package of the landfill’s geosynthetics. According to the project design, Maccaferri’s geomembrane and geosynthetic drainage composites were supplied in the three areas of Megali Panagia, Arnaia, Ierissos, and included Macline (GCL W20 and SDH100), MacDrain (W1060), MacWeb geocells and MacGrid (WG4). The project was nearing completion by the end of October 2016. Learn more about this project through the related Case History. For more information, please do not hesitate to contact the Subsidiary of Greece.